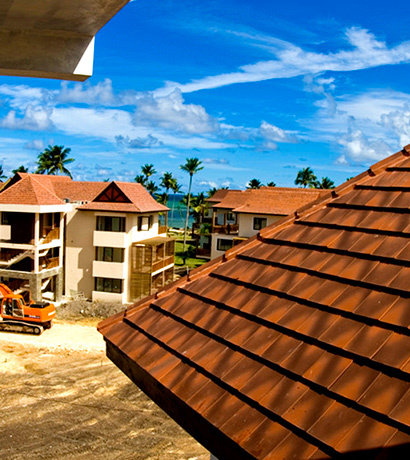 Roof coating is a fluid which solidifies into a stretchable membrane. It can withstand physical impact and environmental damage, and will flexibly return to its original shape. The liquid itself is monolithic: once it has hardened, it functions as a single object, distributing environmental stresses across a broad surface area to minimize any potential for lasting damage. Roof coating is one of the most effective and efficient services we offer, by way of maintaining a watertight seal over your rooftop and drain spouts. A properly applied roof coating, installed by trained professionals, will protect a roof from ultraviolet rays, wind, rain and hail for many years. greatly prolonging the durability and longevity of the roof itself. Our installation team understands the different environmental factors which various roof coatings are designed to resist, and how well different roof coatings will hold up within the local climate.